We all want to be the fun mom. Admit it. Everyone wants their kids to grow up with happy and fun memories of their childhood, and more specifically, of YOU. But, let's face it. We're exhausted. 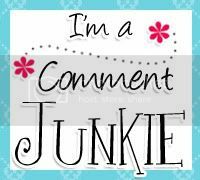 At least I am. Maybe it's just me, then? Yes, you read that right. Food coloring is frequently used around here to make the mundane a bit more fun. On the rare occasion that the girls take a bath we're faced with quite the quandary. Lolly loves bubbles and Babs, not so much. How do we fix it? We let Lolly choose the color of their bath. Babs calls every color "lellow" and CG gets freaked out by a yellow bath so we usually just let Lolly choose for now. Everyone is happy. Recently we checked out the classic "Green Eggs & Ham" which the girls just loved. No we don't own this book yet....don't call CPS on us, we'll get it eventually! So of course we had to make green eggs that went along well with our pink heart shaped pancakes for our President's Day breakfast. Personally, I think they're disgusting looking and could barely eat them, but the girls thought they were just fabulous. Success achieved. Another fun idea I found online was to put shaving cream on a paper plate and put their favorite color (or more than one if you like brown) and then let them smoosh it around and make whatever fun mess they want to. When they've lost interest turn over the plate onto a piece of construction paper, flatten plate on paper, remove and let it dry. It makes a fun and clean art project that smells pretty good too. With food coloring the possibilities are endless! And I'm pretty sure it's organic too. It looks slightly gross, but I'm sure your girls love it! Thanks Michelle. I've never seen that blog...I'll have to check it out. While your kids won't remember every single fun thing you do with them, when they grow up, they will remember you being a fun mom, and that is all that counts, right? My mom was really creative and one St. Patrick's Day she dyed our chile green. I have never gotten over the trauma of looking it. Although she also make homemade green bread and it was really cute. Thanks for sharing. We could all use some fresh ideas. 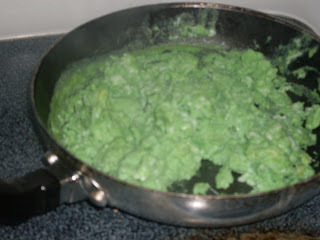 I've dyed food green for st. patrick's day and have never heard the end of it. Good job being the fun mom. I try but it's exhausting! Another fun one is to fill spray bottles with colored water and let the kids 'color' in the snow... keep that in mind for next winter!